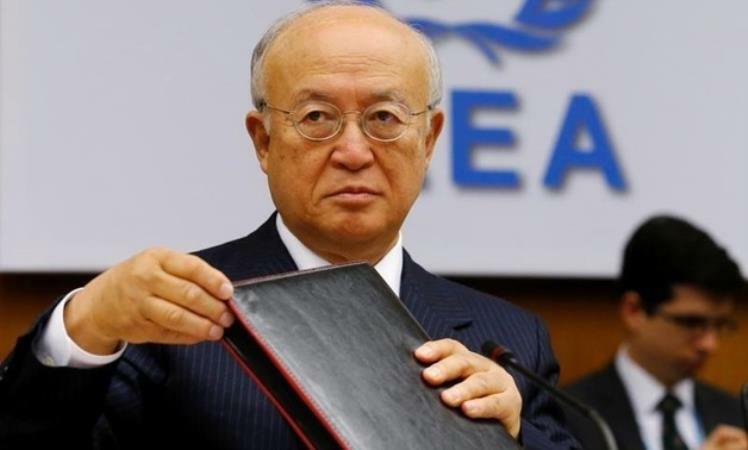 CAIRO - 6 February 2019: Egypt is one of the candidate countries to host the Conference on Nuclear Energy set to be held in 2021, International Atomic Energy Agency (IAEA) Chief Yukiya Amano stated on Tuesday. [caption id="attachment_1570" align="alignnone" width="400"] International Atomic Energy Agency (IAEA) Director General Yukiya Amano[/caption] Amano expressed the agency's appreciation for Egypt's significant efforts to support the agency's activities and the country's peaceful application of nuclear energy. During his meeting with Egyptian Foreign Minister's Deputy Hamdi Loza, Amano expressed his pleasure to visit the North African country for the third time since taking post in 2009. For his part, Loza asserted Egypt's full commitment to the nuclear safety and security standards for all the nuclear power stations which the country plans to establish. He called on the IAEA to support efforts to rid the Middle East of nuclear weapons. Loza stressed Egypt's interest in supporting and developing technical cooperation programs in light of the states' rights to benefit from the peaceful applications of nuclear energy. On Sunday, February 3, Amano met with Egypt's President Abdel Fatah al-Sisi and the Minister of Electricity and Renewable Energy Mohamed Shaker. During the meeting, Sisi said that Egypt is keen on implementing the international standards of nuclear security and safety at El-Dabaa nuclear power plant. Ambassador Loza and Amano met with Ambassador Omar Amer, Egypt's Permanent Representative at the International Atomic Energy Agency (IAEA). The meeting dealt with various areas of cooperation between Egypt and the International Atomic Energy Agency (IAEA), especially with regard to Egypt's construction of nuclear power plants to generate electricity and meet Egypt's growing electricity needs.